Damien Westwood founded Westwood Builders in 1997 and brings close to 30 years of experience to the business. Damien's background is residential building and project management, having completed school to start a successful apprenticeship and a undertake a number of trade certificates. 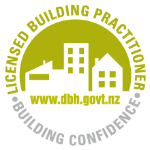 Damien has been a Master Builder and Licensed Building Practitioner for many years.